Good news for high schoolers in Bandung! SGU will hold an Entrance Test for those who want to apply for SGU scholarships. 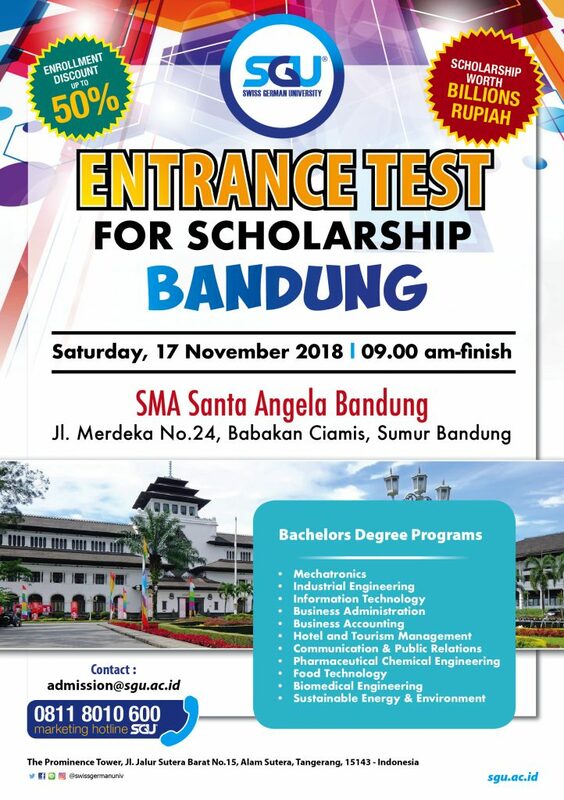 This Entrance Test event is open for all grade 12 students from all high schools throughout Bandung area. The event will be held at SMA Santa Angela Bandung, Jl. Merdeka No. 24, Babakan Ciamis, Sumur Bandung on Saturday, 17 November 2018 at 9am. For registration and information, please contact admission@sgu.ac.id.